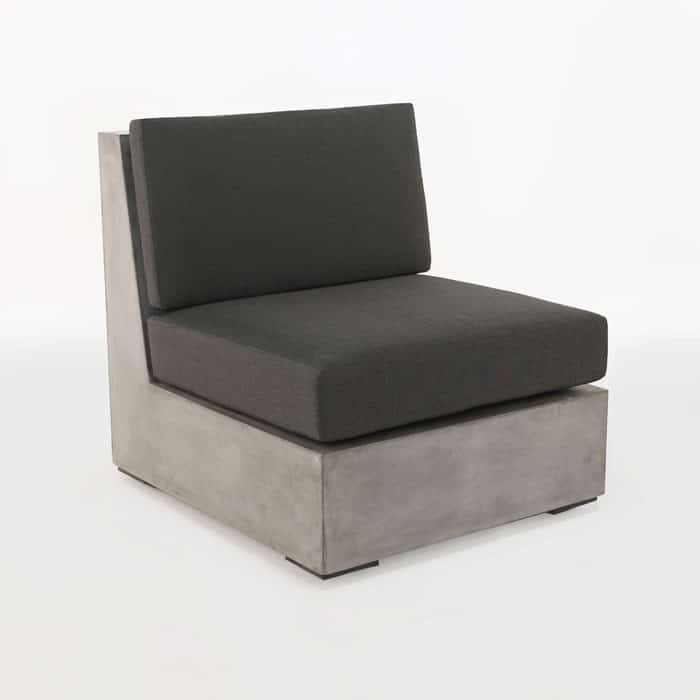 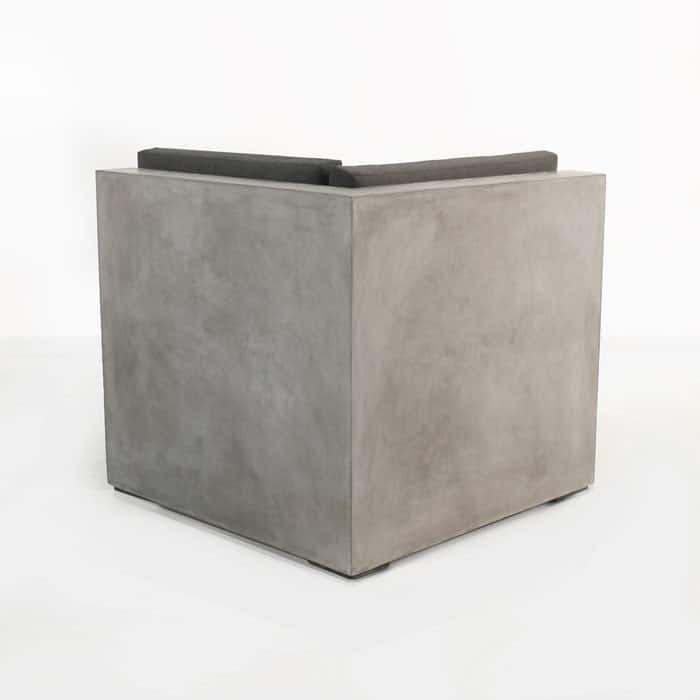 This piece is an integral part to the new Box Concrete Seating Collection. 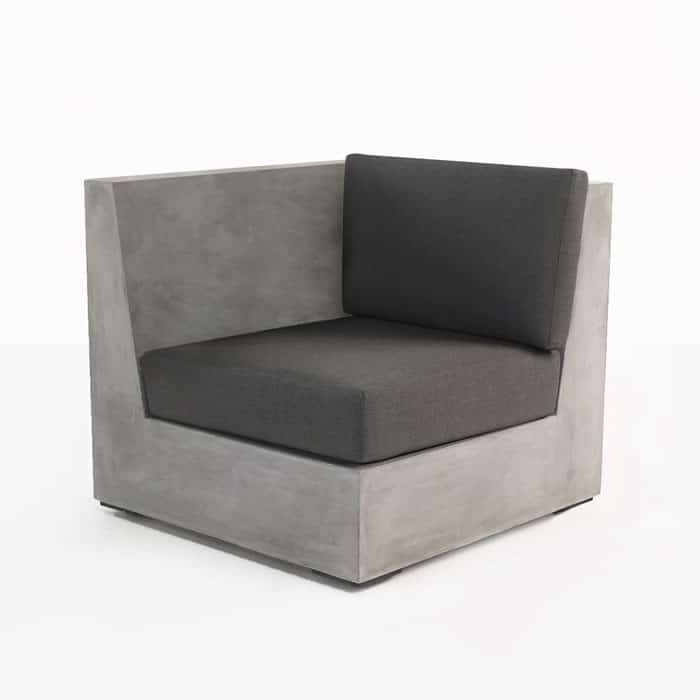 It functions as a corner piece to create an L-Shaped sectional with 2 back cushions and a seating cushion. 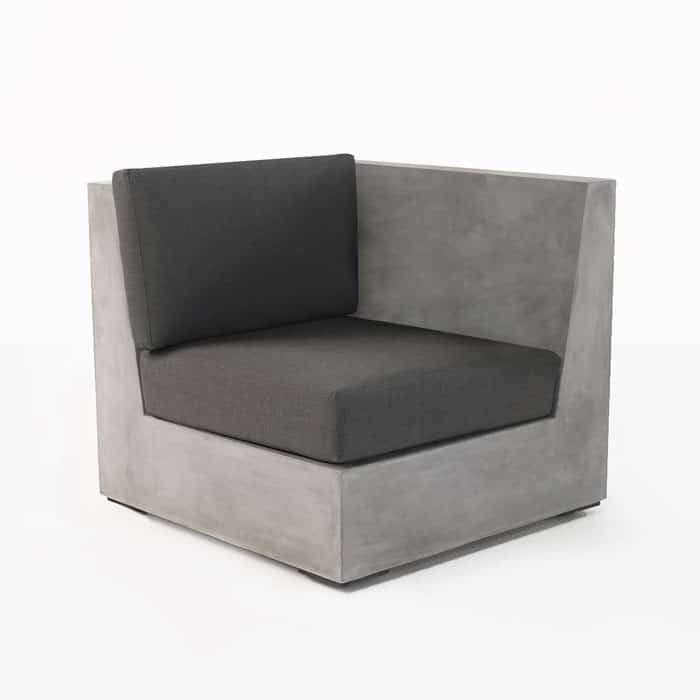 The Sectional is made from lightweight reinforced concrete material that has a natural look and feel, and is a bold statement in any space, with the long, cool modern looks and contemporary texture and detailing. 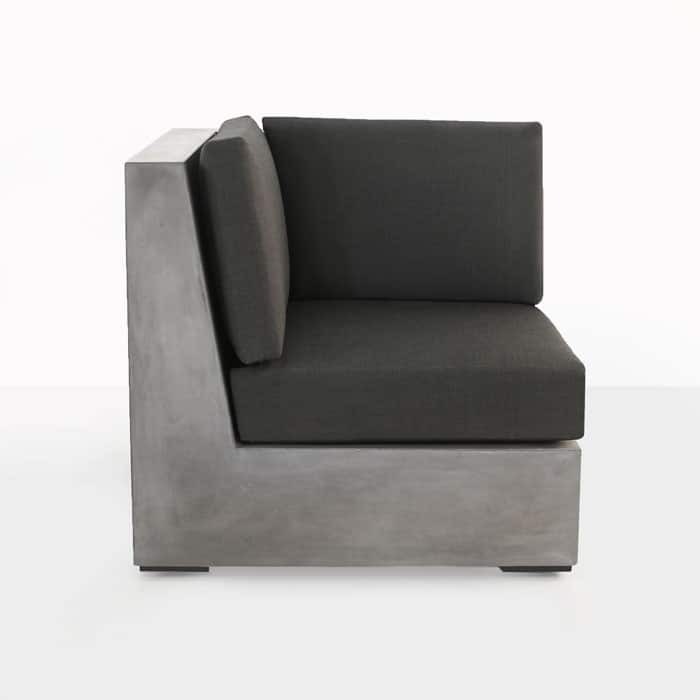 Functionally this piece can create a complex look in a small space with the versatility of this collection. 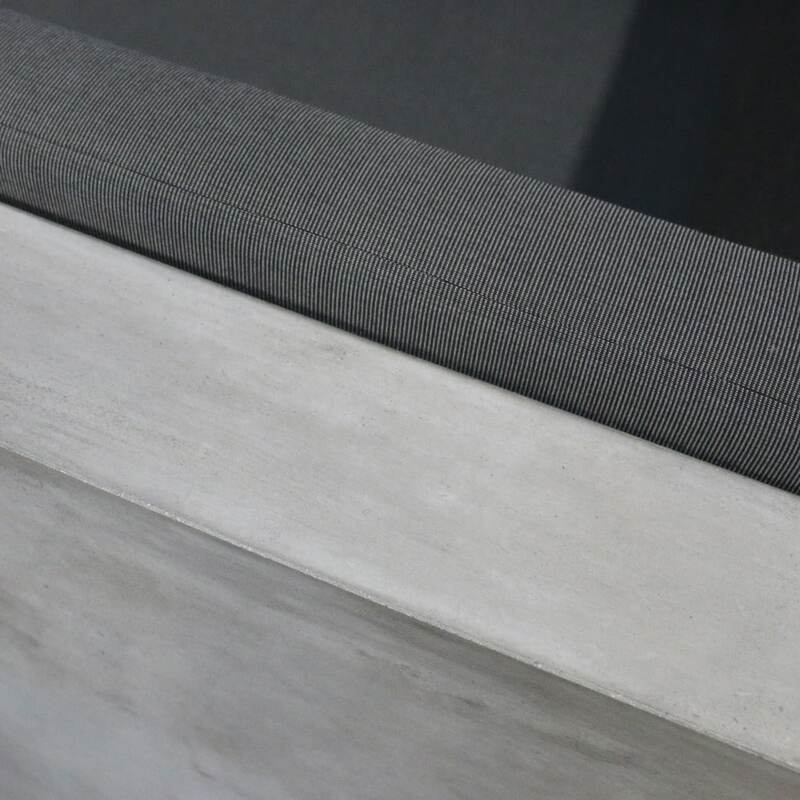 The beautiful clean look of this concrete gives your outdoor space a sophisticated and bold new look, while providing a comfortable seating experience. 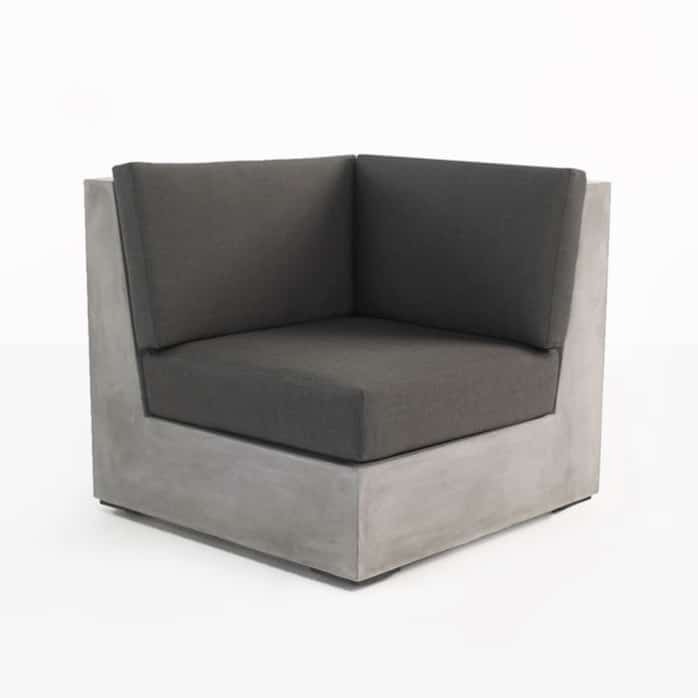 It’s sure to be the talk of your next event.